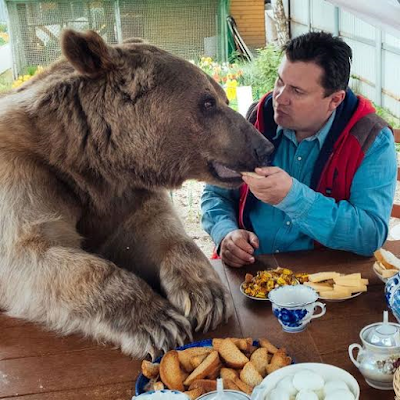 Russians, Svetlana and Yuriy Panteleenko adopted 23 year old Stepan, a 7ft tall and 21 stone bear and have domesticated him, and just like any ordinary family member, Stepan eats at the dinner table, watches TV with his parents, cuddles and does his fair share of household chores. 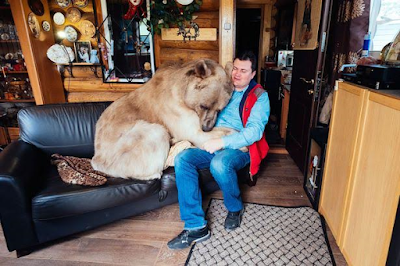 They also say he is extremely gentle and can often be found cuddling up to them on the sofa. Svetlana said: "Stepan likes nothing more than to cuddle up with us on the sofa at night while we're watching television. "When we adopted him, he was only three-months-old and had been found by hunters in the forest having lost his mother. "He was in a very bad condition. 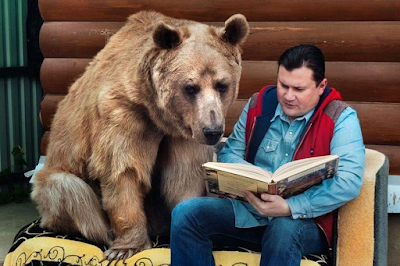 "He absolutely loves people and is a really sociable bear – despite what people might think, he is not aggressive at all.We have never been bitten by Stepan. 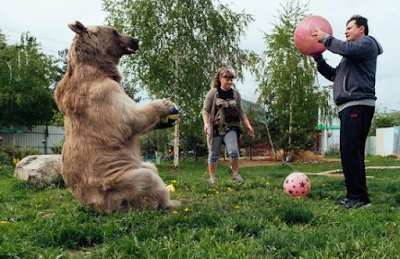 "He's got so many talents and loves a picnic. 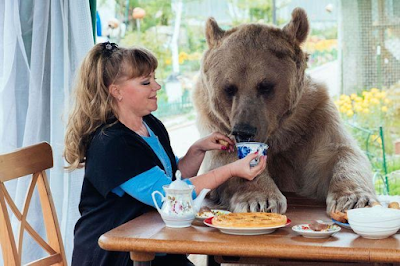 "It's a wonder he doesn't eat us out of house and home."